A four-year-old has been transported to the hospital this evening after falling into a pool at KMS Bungalow Colony in Swan Lake, NY. The boy is in critical condition, having suffered cardiac arrest. 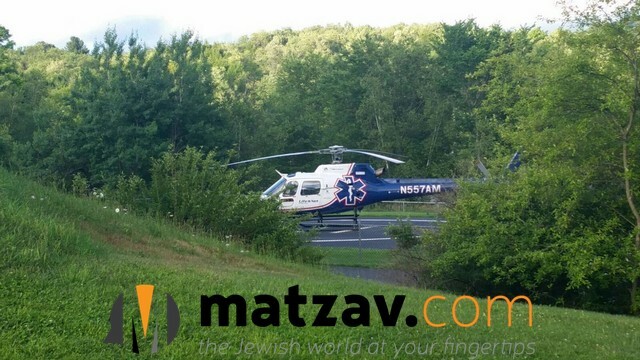 Paramedics from Catskills Hatzolah, who responded to a call at 6:40 p.m., performed emergency resuscitation on the child, who was taken to Catskill Regional Medical Center in Harris, NY. The paramedics stabilized the boy and then requested that he be airlifted to Westchester Medical Center University Hospital in Valhalla, NY. All are asked to daven for Shimon ben Leah Malkah Esther.